TORONTO - Author David Yaffe first encountered Joni Mitchell about a decade ago and it wasn't long before he fell on her bad side. Notoriously prickly, the singer-songwriter called him to criticize his word choice in a New York Times interview with her. In particular, she hated that after spending time at her Los Angeles home he described it as "middle class." "I don't know what you think of as middle class, but I live in a mansion," Yaffe recalls her saying. "You were in the earthy section of my property." It's a scene that opens the unauthorized biography "Reckless Daughter: A Portrait of Joni Mitchell," a thoughtful espousal of the legendary musician's complexity and taste for speaking her mind. 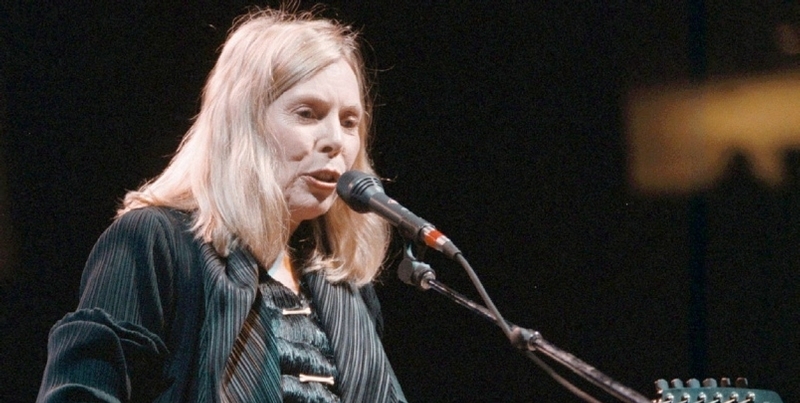 The book, which recently arrived in stores, is based on extensive interviews with the singer and more than 60 people closest to her, including the late Leonard Cohen, Buffy Sainte-Marie and Judy Collins, whose 1967 cover of "Both Sides Now" helped vault Mitchell into the mainstream, much to her dismay. Yaffe, a professor of humanities at Syracuse University, holds the many sides of the Saskatchewan native's personality up for examination, but avoids the trap of deifying his subject. "I've seen her at her most charming and I've seen her at her most vicious," he said in an interview at a Toronto hotel. "The truth is that when you're Joni Mitchell nothing is really enough. There's a bottomless hole that can't be filled. There is a wound that can't ever be healed." Yaffe said he faced a number of verbal confrontations with Mitchell after his first interview with her in 2007 and a rift in their relationship lasted several years. "Reckless Daughter" uses those unwaveringly human moments to deepen the understanding of her music and expound on why she's adopted a combative personality in her private life. He explores the isolation that followed her polio diagnosis at nine years old, a soured marriage to folk singer Chuck Mitchell ("my first major exploiter") and the music industry's rampant misogyny, which forced her to keep an emotional shield at hand. The book also carefully recounts the young Mitchell's decision to give up her daughter for adoption as she pursued a folk singing career. It's a story she kept private until a former art-school roommate sold it to a tabloid magazine. "It's like when you're looking at somebody like Nina Simone and you're seeing how far gone she was. It's pretty unsettling, but she was for real. You can hear it in everything she did. You can hear it in everything Joni did." Yaffe's biography goes where most other books on Mitchell couldn't - it includes access to the singer in the years before she suffered a brain aneurysm in early 2015 and began living mostly in seclusion. His final in-person interview happened two months before she was hospitalized. They engaged in hours of conversation over glasses of purified water at Mitchell's home, but Yaffe felt even the slightest verbal misstep could once again fracture their relationship. It didn't that time. As the meeting came to a close, he hailed an Uber while Mitchell hovered over his smartphone with curiosity. When the car arrived, she pecked him on the lips goodbye. Mitchell's next interview with him began with anger. It wasn't Yaffe's fault, he contends, but Mitchell was furious over failed plans to compile a box set of her unreleased work in the spirit of Bob Dylan's "The Basement Tapes." Even though she was directly involved, she didn't like the direction it was going, and she was sour. "She says to me, 'I'm surrounded by leeches, what kind of leech are you?'" Yaffe remembers her asking over the phone. "I kept my cool but on the inside I really flipped out." Yaffe told her he didn't think he was a leech at all. "It helped the phone call last a little longer." By the time his final marathon of interviews was complete, he'd amassed nearly 15 hours of tape. "Just the last interview I did with Joni alone was over 300 pages," Yaffe said. "I printed it and bound it." Yaffe hopes "Reckless Daughter" humanizes Mitchell while also staying true to the singer's own voice. "I want this book to be from Joni's perspective as much as possible," he said. "I'm trying to see things from her point of view, even if it's unflattering. "This isn't a memoir, but it's the closest thing that will be." This article has been viewed 1,379 times since being added on October 15, 2017.